For the first time, fossilized brain tissue from a dinosaur has been identified by researchers. It is very rare for soft tissue to fossilize unless environmental circumstances are perfect. 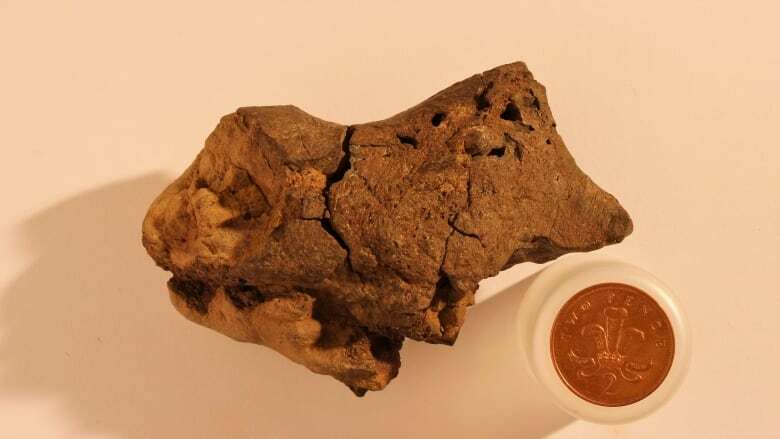 The fossilized brain - found on a beach in Sussex, England - is from an Iguanodon that lived 133 million years ago during the Early Cretaceous. The study by Dr. David Norman, a vertebrate paleobiologist from the University of Cambridge, found that the meninges, the exterior tissue of the brain, as well as capillaries, fossilized because the animal died in an acidic swamp-like body of water with low oxygen levels, conditions conducive to preservation. The fossil is about the size of a hardball, which confirms that dinosaurs had relatively small brains.